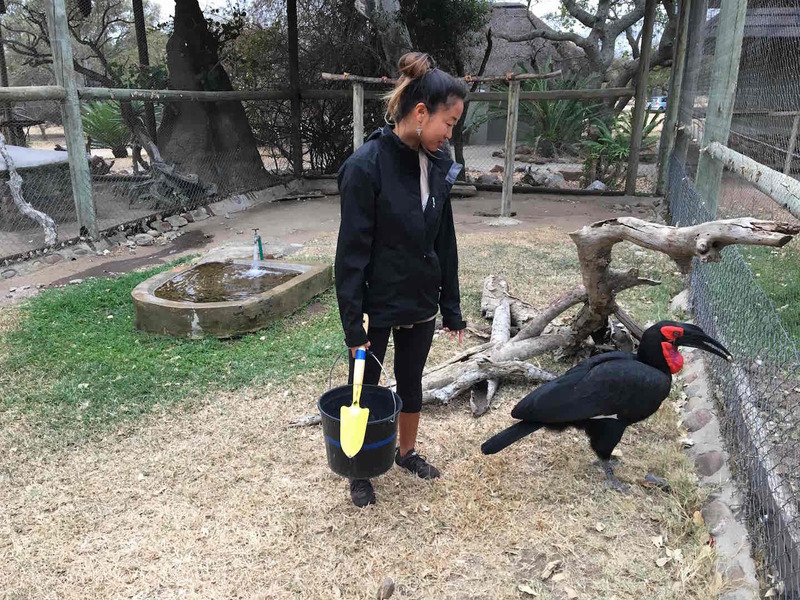 I have always loved animals and care deeply about the environment and conservation so I’ve been looking forward to my four weeks of volunteering at Moholoholo all year. Having no previous experience in this industry I wasn’t sure what to expect, however my time at Moholoholo has been amazing so far. 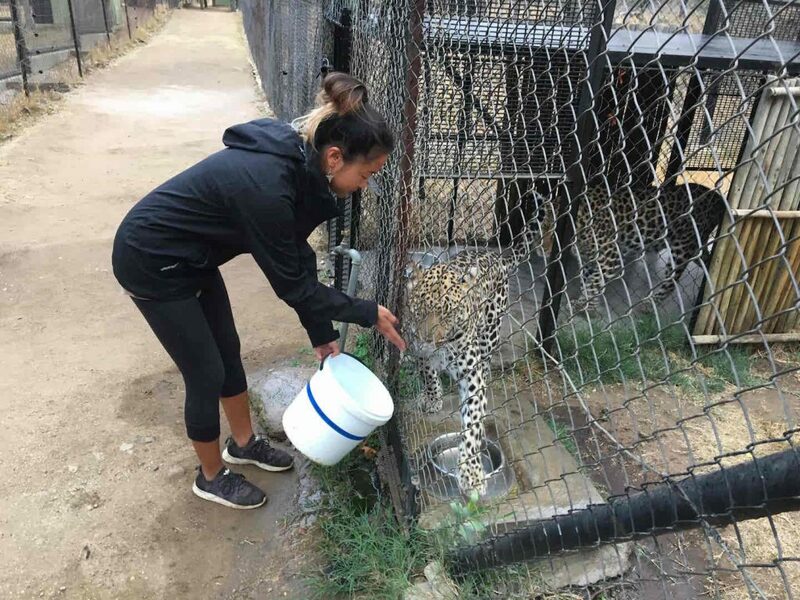 I’ve been surprised at the extensive variety of animals Moholoholo has and how the volunteers are involved in every aspect of their upkeep and maintenance. 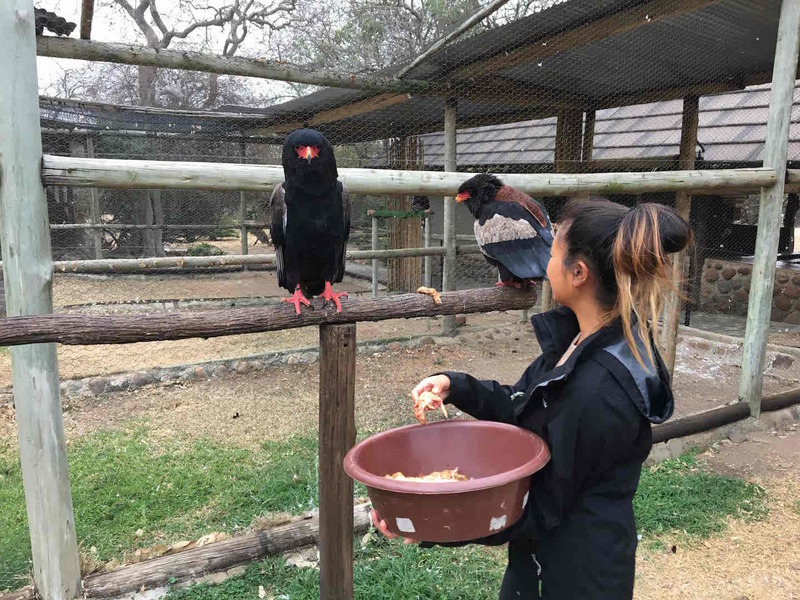 Not only do we tend to enclosures and food and water but we are also involved in various activities that occur such as vet visits, the most recent being for TB tests on cheetahs and antelopes and also the trimming of beaks and talons of owls and eagles. The most re and serval back into the wild. Seeing the animals successfully rehabilitated shows your contribution is helping to the species survival. Overall my time at Moholoholo has been amazing, the people I have met and the experiences I have gained are unforgettable!